So now that you have decided to become a truck driver. 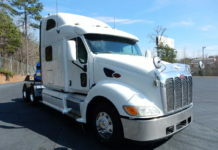 The next step for you is to check into some truck driving schools. And the first thing you will probably notice is the price. Honestly, the price is way worth it. In today’s world, going to a trade college or a technical college can cost anywhere from $40,000 to over $100,000. And it will take you between 18 months to 36 months to complete. A regular university or community college is on par with those prices and it will also take you more time to complete. This is why I see truck driving school as a bargain. You’ll see prices between $4,000 and $8,000 for a course between 3 weeks and 3 months. This is depending how fast you want to complete it. And once you are done with your truck driving school. You will enter an employment field where the jobs usually average $36,000 a year to start and in some cases you will top $100,000 a year. We have broken down the price and benefits of going to truck driving school in our eBook “So You Want to be a Truck Driver“. Once you have figured out a way to pay for your truck driving school. (We have also covered how to save $1,000’s on your truck driving school in the eBook linked above) You will want to make sure you are prepared for this adventure. Basically there’s two different options you have when attending truck driving school. The first is to attend a school that is local to you. The second is to go to a truck driving school that is located some distance from your home where you will have to stay in a hotel or motel. 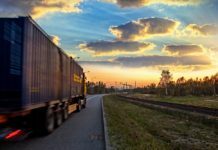 The truck driving school will typically include the hotel in the price or they will itemize any extra expenses you have when attending their particular truck driving school. Once you have figured out whether you’re staying or going. I would recommend trying to find a local truck driving school so that you can spend more time with your family while attending your schooling. You should get a list of items you will need for the schooling. Make sure you do a bunch of research on the subject, take some practice tests and even go down to the DMV and pickup your state’s CDL study guide, they are free. When you finally arrive for your first day of truck driving school, you’ll be excited. You need to try to remain calm and retain as much information as you can. Truck driving school is usually fast and loose with their information. When I took my truck driving school it was a 3 week cram session! The first few days were filled with book study. This is why you could go down to your local DMV and pickup a study guide a few weeks before you go to school. This will make your transition easier and faster. Once you have just enough information down to go pass your learner’s permit test you will head to the DMV that is located by the school and pick this permit up. Then you can start driving. You will still have lots and lots of videos and study guides to go through. However, you’ll also spend time out on the backing range and driving around the city. 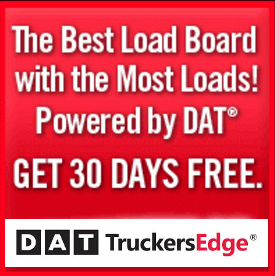 Use this time wisely because city driving and backing is the hard part of truck driving. Anyone can sit and hold a steering wheel and go straight for 10 hours a day. However, once you find yourself in the city and backing up to docks. This is where you earn your money. Honestly, most of the time I don’t even feel like I’m earning money when I have the cruise set on the interstate. Once I pickup and then deliver the load, this is where I feel like I earn my money. So what skills should you expect to learn at your truck driving school? Well honestly not much. You will learn enough to control the truck. 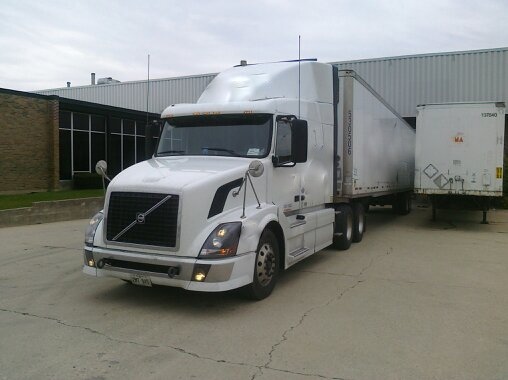 This includes shifting, turning (right and left), backing, some of the different instruments in a truck and focusing on signage that is important to the truck driver. You will learn enough to pass the test to get your license. You may even learn enough to get some endorsements (very important). So as you can see, you really don’t learn too much in your truck driving school. However, this is a very important time to pay attention and try to retain as much information. You need to ask questions. You need to do extra studying. You’ll be entering an industry where you’ll need to have thick skin. You may get made fun of your first several times out. But, at the end of the day, truck driving is a very rewarding career. And when you finish truck driving school you will be on your way to making a better life for you and your family. As always, let me know what you think by commenting at the bottom of this post. Also, check out our new forums section where you can ask questions and engage in the conversation about anything in our trucking lives. And be safe out there!